Paula Briceno spearheads an enhanced focus on cutting-edge areas of the law as lead counsel for matters related to data protection, data analytics, digitization, connected vehicle and automated driving for Mercedes-Benz USA. Briceno is responsible for providing legal advice related to the internal and external handling of MBUSA’s information assets including trade secrets, consumer and employee data, as well as responding to cyber incidents. She also provides legal advice and assistance to support business transactions and government investigations impacting her portfolio. Briceno supports MBUSA’s business units handling consumer data, employee data, vehicle data, cybersecurity, automated driving and telematics. She also supports the external affairs office on data privacy, security and automated driving issues arising from legislative proposals, regulatory inquiries and industry lobbying efforts. She actively represents MBUSA in meetings with the automotive trade associations, such as the Alliance of Automobile Manufacturers and Auto-ISAC, to support the company's interests. 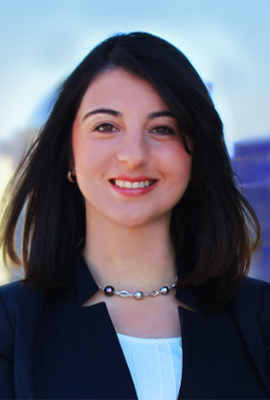 Prior to joining MBUSA, Briceno served as Corporate Counsel at Crawford & Company where she was responsible for providing data privacy guidance in connection with the collection of client and employee information and third party risk mitigation. She also helped shape Crawford’s Global Information Security and Privacy Office, a cross functional team responsible for developing Crawford’s privacy and security strategic plan, drafting and implementing information security policies and procedures, conducting privacy impact assessments (PIAs) for new business processes or systems and handling incident response activities. She earned her bachelor’s degree from the University of North Florida and her law degree from UGA.